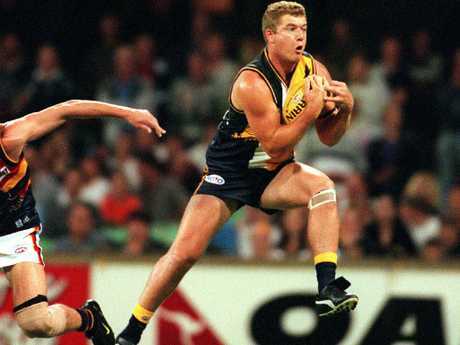 THE fallout to The West Australian's controversial Eddie McGuire front page has continued with former AFL star Scott Cummings going for the jugular in a rant aimed at the Perth newspaper. The Collingwood boss was slammed in the wake of his unfortunate live TV mishap late last month, when he ridiculed the pre-match coin toss by journalist and double amputee Cynthia Banham before the Swans faced the Crows. 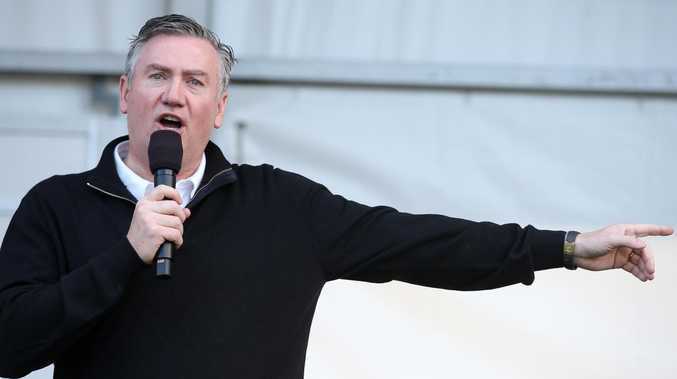 "WA footy fans will have to endure the state's most despised commentator when Eddie McGuire leads the TV broadcast of Saturday's western derby," read the spread, which was titled "Derby fans stuck with gaffe-prone McGuire". West Coast fans were treated to a lifetime's worth of gloating over the polarising Pies head honcho after Collingwood's stunning grand final loss to the Eagles last year. But Cummings thinks the latest swipe at McGuire went a little too far. The former West Coast and Collingwood player couldn't believe the front page attack on the veteran sportscaster, labelling it "embarrassing". "Sure, there are some people in WA who don't like Ed, no problem at all. We're all aware of that, you can't like everyone. Because he is Victorian and because he is a Pies man and he's so passionate, some don't like him," Cummings told SEN Afternoons. "But it shouldn't be on the front page of the paper. It's a joke. "If you want to bully, belittle and degrade someone, how about you do it to a criminal sitting in jail, a wife basher, or one of our many racist politicians. Why don't you do it to them? "Not to a footy commentator. Get some perspective for goodness sake. "It's just a really bad reflection on West Aussies." The editor of the The West Australian, Anthony De Ceglie, insisted the headline was "tongue in cheek", in an interview with Channel Seven on Wednesday night. "It's the first time he's ever commentated on a western derby. He's also the least popular commentator in Western Australia, several footy polls have shown us that," he said. "It was a bit tongue in cheek but mainly what we wanted to do was put him on notice and say if he's going to come over and commentate on the most important sporting fixture of the year for us, then he needs to a damn good job. "I think Eddie will have to bring his A-game or this will get a lot more traction." But Cummings doubled down, blasting the "gutter mentality" behind the front page and insisting it didn't reflect the attitudes of average West Australians. Scott Cummings in his heyday for the Eagles. "I know West Coast supporters are parochial and get bagged for the booing they do, but what they do is they make it a really uncomfortable environment for opposition teams to go to, so they are doing the right thing for their team," he said. "This is a nonsensical front page article and I want to fly the flag for the good, decent West Aussies who don't have this gutter mentality in the media. "It's embarrassing for Western Australia and I apologise on behalf of the normal, sensible people who don't have this mentality." McGuire himself waded into the issue, shooting the paper a not-so-sly jab on Basil Zempilas' 6PR radio show on Wednesday. "They must be a bit embarrassed today, wouldn't they?" McGuire said. 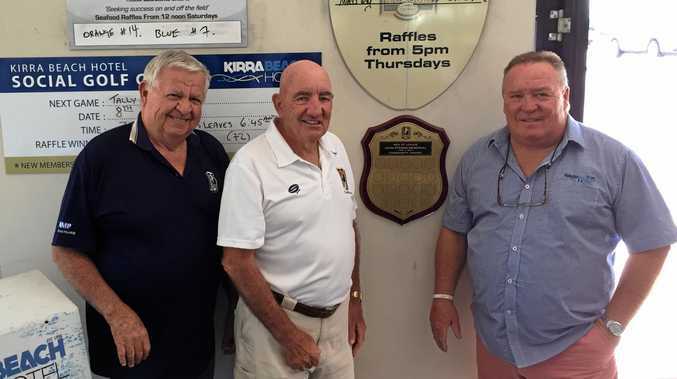 "It is a West Australian game between two great clubs, but it's also one of the biggest sporting events on in the country and when you look at the attendance, it will be one of the biggest attended games in the world this weekend. "I reckon maybe sometimes the West Australian people if you open up your hearts to these things ... I just think it's a really good opportunity for Western Australia to open their minds to what can be and the amount of money that could come into Western Australia through tourism, particularly through football."